We offer fabricated and customized Granite Kitchen Sinks. We can provide all styles of granites sinks with many different shapes such as square, round, oval, rectangle with or without rims, made from domestic and imported stones. 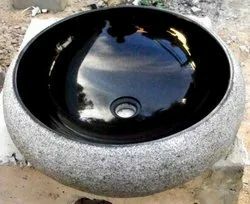 Our urge to reach the top has enabled us to come out with an exclusive assortment of Single Bowl Granite Sink. 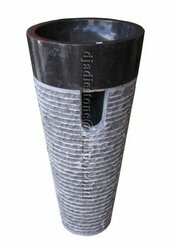 We are engaged in offering an extensive range of Granite Wash Basins to the customers. The Granite Wash Basins of our company are highly recommended for their fine finish and used in hotels, restaurants, homes and many other places. Furthermore, our offered Granite Wash Basins are known for their durability.